The proposed buildings redevelop the existing tired and dated ‘Leisure Plaza’. 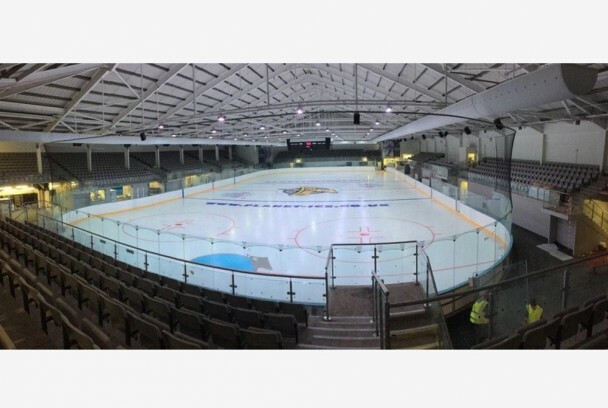 Whilst the existing ice rink is retained, it is extensively refurbished including a new entrance building with restaurant and bars facing onto the redesigned street. 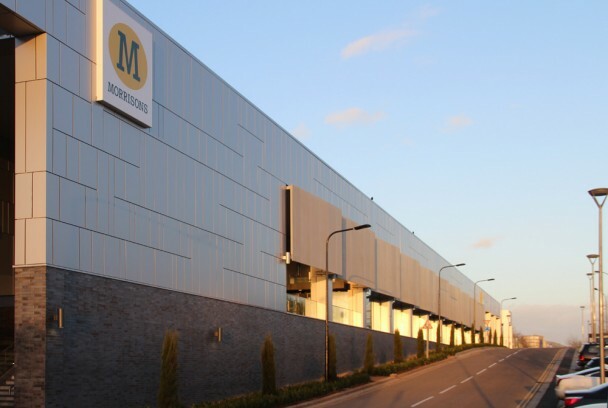 In addition, a large retail unit for Morrison’s (80,000 sq ft) and retail units A+B, (combined 40,000 sq ft), provide animated active frontages. The overall building positively addresses the adjacent city road structure and provides a landmark building to the West Coast Mainline Railway and station. 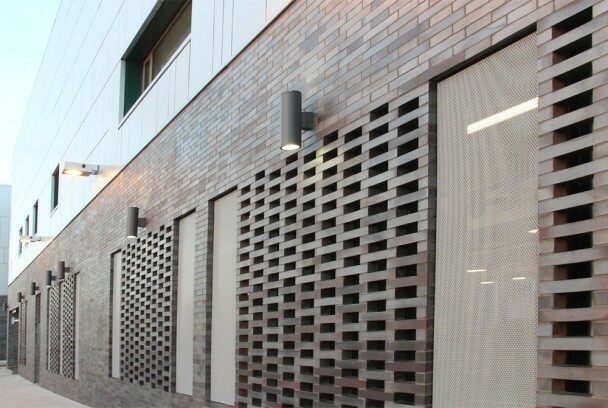 The retail unit includes a South facing double height glazed atrium protected with brise soleil, facing onto Childs Way, and links to undercroft parking responding to the existing site levels. 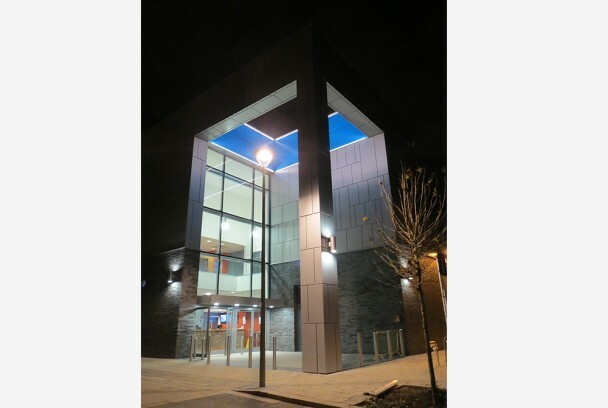 All building entrances are emphasised by a projecting colonnade and feature lighting. 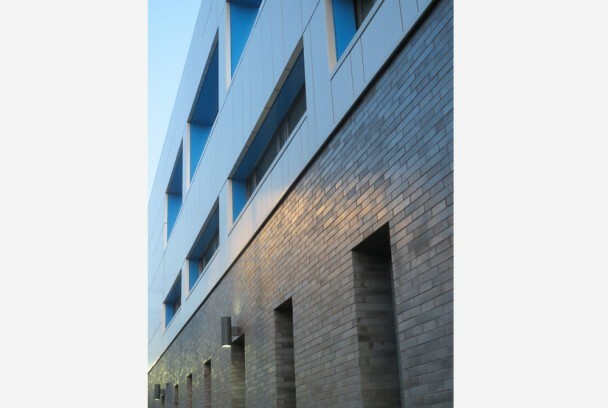 The buildings sit on a strong masonry plinth with lightweight aluminium rainscreen above. 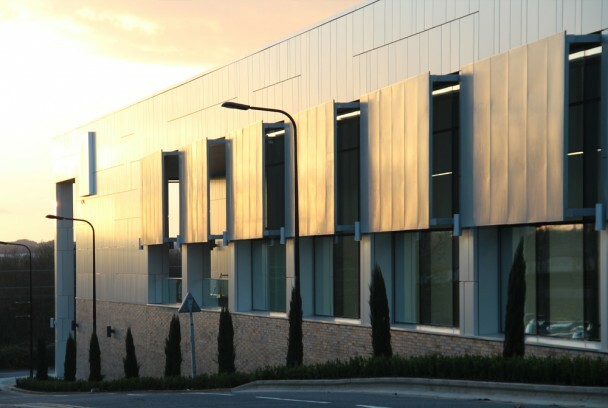 Buildings are designed to achieve BREEAM Excellent. The retail units will be built as a separate phase.